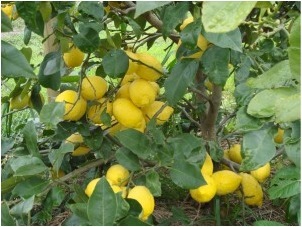 Lemons are great for many things including cooking, lemonade & teas. Here are some other great uses for lemons. To make a fantastic hand cleaner 1/2 fill a jar with raw sugar. Add olive oil to just cover the sugar. Squeeze the juice of 1 lemon into the jar, grate the rind and add. Place the lid on the jar and leave for a few hours. To use rub a small amount on your hands and rinse with warm water. Add a few tablespoons of coconut milk to the hand cleaner above and you can then use it as a beautiful body exfoliant. It is a great scrub for the whole body and smells yummy. Dissolve some baking soda in 2 cups of hot water, add lemon juice and pour it into a spray bottle. Spray this into the air as a natural air freshener. Combine 2 tablespoons of borax, 1/4 cup of lemon juice and 2 cups of hot water and pour into a spray bottle. Use as an all-purpose house cleaner. Mix together 1/4 cup of olive oil with a few drops of lemon juice for a natural shoe polish. Simply dip your rag, wipe on, then buff off. What other uses have you found for lemons?